The luck of the draw has fallen England as they face the easiest route to the World Cup final (on paper) as they face Sweden in the Quarter Finals and either the hosts, Russia or the dark horses in Croatia in the semi-finals. Whilst England had to take the long route to the Quarter Finals with a 4-3 penalty shootout victory against Colombia, Sweden narrowly beat Switzerland with a deflected strike from Forsberg taking the Blagult to the next round. 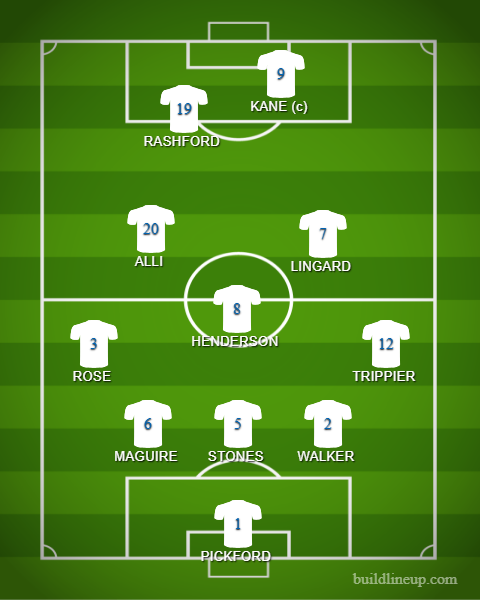 England have been given a lift that Dele Alli and Ashley Young are fit to play against Sweden and that Fabian Delph has returned following the birth of his newborn child. However, Jamie Vardy is suffering from an injury that not only prevented him from taking England's fifth penalty against Colombia but also made him sit out of both Thursday and Friday training sessions. Sweden could be without Seb Larsson, Jimmy Durmaz and Albin Ekdal as they have all suffered injuries that could hinder their chances of starting against the Three Lions. The captain, Andreas Granqvist has stated that Sweden will not change how they play to accomodate England's 5-3-2 formation and will sit deep and break with pace on the counter. He has had a fantastic tournament and has only conceded two goals all tournament and kept three clean sheets in four games. He made some crucial saves against Mexico and Switzerland to allow Sweden to progress further in this World Cup. They have been outstanding and have put their bodies on the line countless time for the cause. 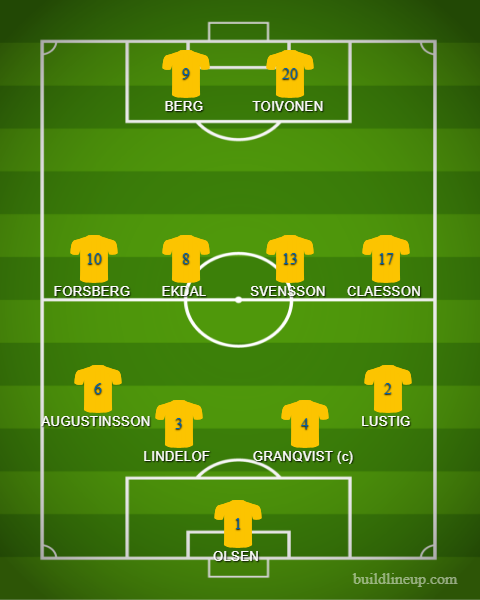 Granqvist is a natural leader and commands his relatively experienced back four with Lindelof and Augustinsson set to make their 25th and 20th caps respectively. This midfield works ever so hard and act like box to box midfielders that must cover the whole pitch ten times during a game. Ekdal is suffering from a niggling injury but should be fit to play England tomorrow. They are hard working strikers that often play like midfielders and have to summon all their energy to break with pace up the pitch and get inton attacking positions. They have not been as effective as usual at this World Cup and the England defenders should be able to deal with them. He was oustanding against Colombia and all that can be said for Butland is, unless Pickford is injured, he will not feature at the World Cup. Young is suffering from a niggling injury that forced him to be swapped for Danny Rose in the Round of Sixteen match and when the Tottenham fullback came on, he was lively and dangerous and could have won the game late on. The rest of the defence should stay the same as they were, for the most part, solid but one little slip is all it takes and that was clearly shown as Yerry Mina equalised in added time. If Alli is not fit, then Loftus-Cheek should come in to keep the attack-minded formation in midfield. But Lingard and Alli created a lot of chances but failed to take any of them, they will need to be more clinical and cannot afford to waste chances against Sweden as the chances will come much less often. Henderson is the anchor that starts all the attacks and will definitely stay in the side. Kane is a guaranteed starter so no need to get into detail. As for Sterling, he has not really shown the form that he had for Man City this season and looks dry of confidence, Southgate seems to have faith in him but realistically, at this point he should be dropped for Rashford who, although missed a few good chances, seems much more energetic and lively infront of goal. Sweden will sit deep and aim to break on the counter and will put bodies on the line to keep themselves in the game. England will have to be patient but clinical and not end up in the same predicament Spain were in against Russia and create utterly unrewarding attacks. England should nick a 1-0 lead and then as Sweden open up, they should polish the Swedes off and I expect Kane to continue his chase for the Golden Boot.